The group said workers expect improved SSS services as a result of the increase in monthly contribution. MANILA, Philippines — The country’s largest labor group Trade Union Congress of the Philippines (TUCP) is expecting the Social Security System to improve its services with the implementation of the SSS Rationalization Act. 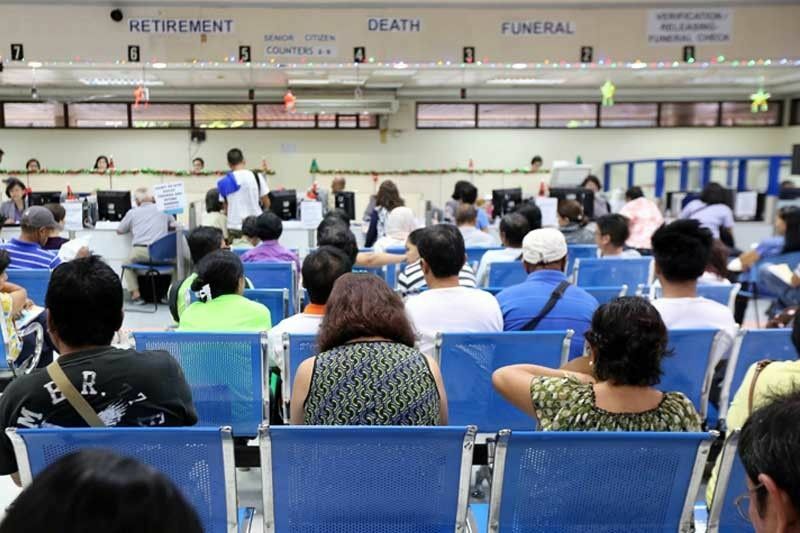 “The implementation of the new SSS law will hopefully help improve the vast range of services the system provides to its members,” TUCP president Raymond Mendoza said. Mendoza said they do not object to the planned 12 percent increase in the SSS monthly premium as part of the implementation of the new SSS law. “The SSS this time has been doing fairly with its job to look for other means and resources to improve the system’s fund aside from increasing the monthly premium,” Mendoza said. He said the TUCP is closely monitoring SSS’s efforts to go after employers who are delinquent in paying remittances and ensuring SSS investments are creating dividends. Other labor groups, however, are wary over the possible negative effect of the new law. Julius Cainglet of the Federation of Free Workers (FFW) expressed fear the newly signed law might result in uncontrolled increase in SSS premium rates paid by employees. Cainglet said the law gives full authority to SSS to increase premium. “It’s a bit dangerous as one of the built-in safeguards against unbridled increases in premium contributions was just removed,” he said. He said the new law does not ensure genuine representation of workers at the SS Commission, the highest policy-making body of the SSS. “This is the formula for destruction: giving more power to a commission whose members do not represent the interests of its main contributors, its members,” Cainglet said. He said under such a setup, the SSS may eventually turn into a profit-driven business entity. President Duterte earlier signed the SSS Rationalization Act to enable the agency to improve its investing capacity and generate more funds for members and pensioners. The new law provides that the SS Commission may collect higher contributions even without the President’s approval. To prevent such a problem, Cainglet said the drafting of the law’s implementing rules and regulations (IRR) should not be put in the hands of the SS Commission alone. “What we want to see in the IRR is an assurance that any decision to increase premium payments should not be lodged with the SS Commission alone,” Cainglet said. Militant group Kilusang Mayo Uno (KMU) condemned the signing of the SSS Rationalization Act, saying it will bring additional financial burden to workers. KMU chair Elmer Labog said the law would reduce the take-home pay of workers already struggling to make ends meet because of rising cost of commodities due to inflation. Instead of increasing premium, Labog said, SSS should just improve its collection. “The rationalization act will just punish those who are already paying,” he said. The SSS rationalization act may cover market vendors, according to Sen. Grace Poe who urged local government units (LGU) to assist vendors amid privatization of public markets. “They can enrol directly to the SSS as self-employed workers, a cooperative or through their barangay leaders. They can pay P5 or P10 every day. The coverage and benefits should include everyone and not only those who are employed in offices,” Poe said, referring to the vendors.